One of Apple’s biggest selling points is the general high quality of its products. But after continued problems with the butterfly keyboards on recent MacBooks followed by a new lawsuit regarding the Apple Watch and issues with late-model iPad Pros, Apple’s reputation for making reliable premium devices is starting to feel a bit shaky. According to Priano-Keyser, her troubles began after she purchased an Apple Watch Series 3 in October 2017, only to have its screen pop off while charging less than a year later in July 2018. Priano-Keyser said her daughter attempted to fix the watch by pushing the screen back into place. However, because watch’s body and screen were damaged after the screen was dislodged by a swollen battery, the watch remained unusable. And when Priano-Keyser took the watch to an Apple Store to get it fixed, she claims Apple refused to repair the watch even though it was still under warranty, and instead charged her $229 for an out-of warranty service fee. Apple’s decision not to repair the watch for free may have seemed especially galling, considering this wasn’t the first instance of swollen batteries causing issues for the Apple Watch. Back in 2018, Apple reportedly instituted a policy allowing certain Apple Watch Series 2 owners to replace their devices for free after they had been damaged by expanding batteries. Meanwhile, in regards to issues with recent iPad Pros, it seems an increasing numbers of users on the official Apple support website and the MacRumors forum are running into problems with the tablet’s screen, with reports of flickering or stuttering displays that don’t respond correctly to touch input. Some users claim that when using the iPad Pro’s onscreen keyboard, even though the keyboard’s animation appears to register that a key has been pressed, no letters actually show up on the screen. Another iPad Pro owner even made a video on YouTube showing those issues in action, specifically calling out the hit-or-miss input detection of the G, H, Y, and T keys. 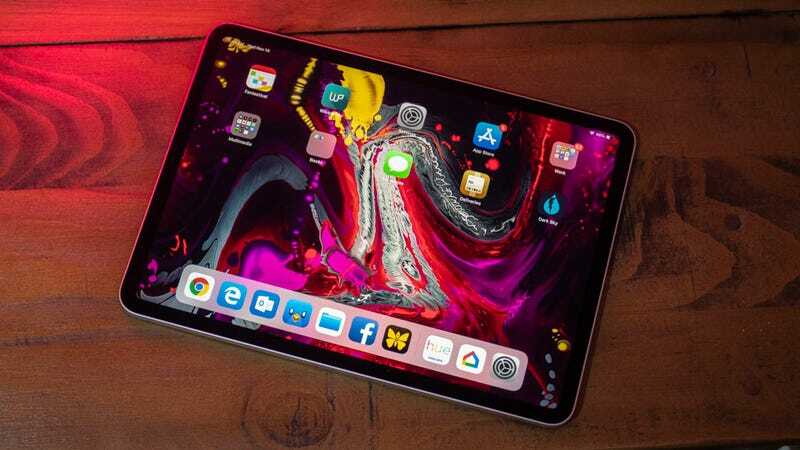 Currently, it’s not clear what the source of the problem is, as various users cite issues with iPad Pros made in 2016, 2017, and 2018, with systems suffering from issues while running different versions of iOS. And while some users say they have had success getting defective iPads replaced, others haven’t been quite so lucky. If you are suffering from a iPad Pro with a wonky screen, one suggested solution for flickering screens on 2018 and 2019 models is to make sure the Apple Pencil 2 is attached attached to the tablet. The reasoning is that something related to the Pencil’s built in magnets and wireless connectivity is causing interference with the device’s screen when the Pencil is not attached to the iPad. Gizmodo has reached out to Apple in response to the latest iPad Pro issues, and we will provide an update if we hear back.